Our High Performance Program (HPP) is designed for the avid golfer that's committed and motivated towards reaching their golfing potential. Not for the half hearted, this program take a holistic approach in continual development of your game. Why our HPP is for you? Far too often I see golfers start to make good progress with their swings and then suddenly fall off the rails because they hit a few bad shots or loose confidence, ultimately returning to old swing habits. These old habits are stored in a part of the brain that as humans we find very hard to disregard. On the other hand, new motor patterns are kept in another area of the brain where it’s hard to retain them. Hence making changes to the golf swing can be quite time consuming and challenging to say the least, especially without constant feedback and monitoring. Here at the QGPC, we want to see you playing well and achieving your personal goals. Hence the evolution of our HPP! 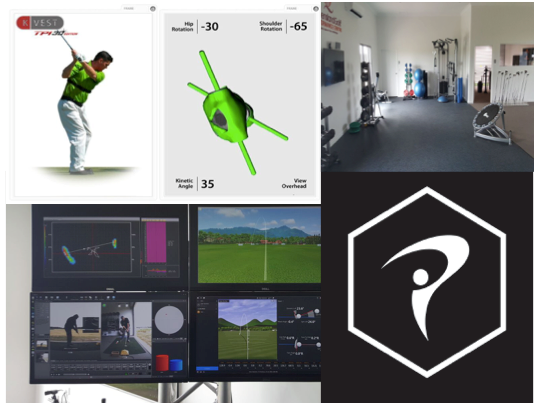 Private lessons will be delivered in the Performance Centre with full use of all technology. Video analysis and Trackman reports will be sent to students monthly through an online e-book. Supervised practice is quite simply an opportunity for students to make sure they are making the necessary changes under the supervision of Marcus in a relaxed group environment on the driving range. There will be two (2) supervised practices sessions each week with each session running for 60 minutes. Depending on your membership category, you are entitled to attend an allocated amount of sessions. Through biofeedback training, students will ensure that practice becomes efficient and you are actually practicing what you were shown. Depending on your membership category, students are entitled to K-Player sessions that take approximately 20 minutes in your own time. It’s easy to use and takes the guesswork out of your practice. Programs are customized to the individual to ensure results are achieved. Gym access at QGPC will be available for all participants from 06:00 – 18:00 7 days a week. Whether it be a pre round warm up or cool down or a complete workout, you will have access to all gym equipment. For more information, contact Marcus McPherson on 0438 084 906 or email marcus@qgpc.com.au. There are 2 membership categories, Platinum ($199 / month) or Gold ($99 / month) to which there is a minimum 3-month commitment to either membership category. The reason being we feel that’s sufficient time to see improvement in your golf game. Minimum cost is $ 597 for Platinum and $ 297 for Gold over 3 months. Payment is direct debited at the beginning of each month via credit card. For any unforeseen situation or circumstance changes, the Performance Centre will willing discuss alternative arrangements with the student. There is no maximum number of students that may attend a session but there is a minimum of 3 for the class to run the entire time. For example: if there’s only 1 student booked, the session will run for 20 minutes. If there’s 2 people booked, the session will run for 40 minutes and if there’s 3 people then 1 hour. If 8 people attend, the session will be 1 hour with time spread as evenly as possible amongst students. In the rare situation where Marcus might be unavailable for a session, an alternate and suitable arrangement will be made well in advance. The old saying first in best dressed applies here. K-Player sessions are completed in your own time without supervision. Help will be available to set up the first few sessions to ensure you are competent with the system. The suggested time is 20 minutes per session with a maximum of 30 minutes. Private lesson are to be booked directly with Marcus. Unfortunately there will be no access to the gym during Yoga classes that are currently held on Wednesday mornings from 08:30 – 09:30 and Thursday evenings from 15:45 – 16:45.